Salesforce is a cloud-based CRM with a focus on marketing automation and analytics used by thousands of merchants all over the world. The company offers multiple products that dramatically simplify the way you manage your customer relationship processes automating them and providing the most in-depth insights into the health of your enterprise. Unfortunately, neither Magento, nor Salesforce offers the ability to synchronize the two systems out-of-the-box, but there is a solution that closes the gap. In the following post, we describe the popular CRM as well as shed light on the Magento 2 Salesforce integration. If you think that Salesforce is an ordinary CRM solution, you are mistaken. Yes, its core aim is to bring all your customer information together in an integrated platform so that you can build a customer-centered company. But the way this idea is implemented makes Salesforce way more user-friendly and efficient than other similar systems. Marketing, sales, customer services, and business analysis – all these aspects of every modern enterprise are mixed within a single interface providing you with a more complete understanding of your customers. As a result, you succeed faster and with less effort. Account and Contact Management. It is the main purpose of every CRM system. With Salesforce’s account and contact management, you get a complete view of your customers. The platform lets you view activity history, manage key contacts, explore customer communications, and make internal account discussions. At the same time, Salesforce provides insights from popular social media sites. Opportunity Management. With this feature, the platform provides you with a complete view of your team’s deals. You can both see and manage stages, products, competitions, quotes, etc. 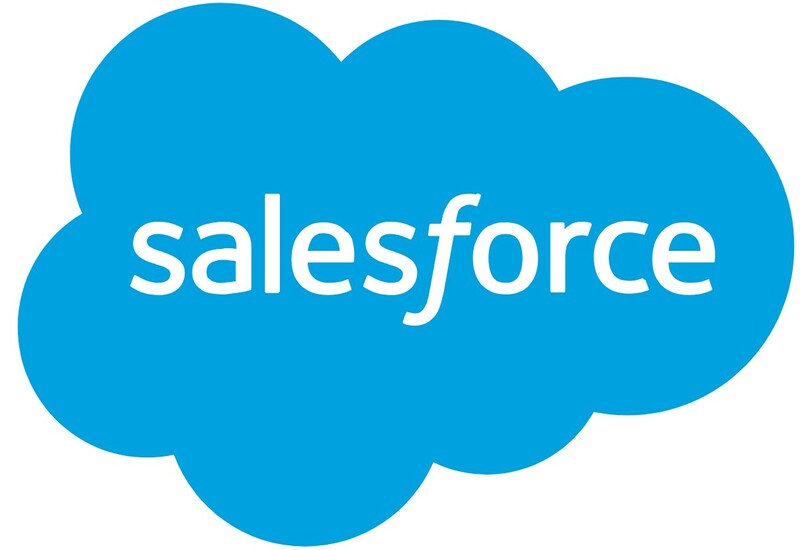 Salesforce provides the ability to connect to people and information you need closing every sale in the most efficient manner. Lead Management. Another vital aspect of the platform is the ability to track leads. You can fully control the process from click to close. Furthermore, the system enables you to optimize your campaigns across every channel. With enough information, you will always make smarter decisions. Sales Data Management. Salesforce offers a continuous flow of data regarding your sales connected with key decision-making tools. Easily plan your sales campaigns, increasing the revenue with marketing productivity enhanced by the most accurate data. Full Mobile Support. With Salesforce, you need only a mobile device to manage and control all CRM activities. Log calls, respond to leads, work opportunities, view dashboards anywhere! Furthermore, it is possible to customize multiple aspects of the Salesforce mobile view! Visual Workflow. With this feature, you can automate any business process in the CRM system. Use a drag-and-drop interface to drive success with flexible approvals in such areas as deal discounts, expenses, etc. Files Synchronization. The system lets you share any data via files with your team. Discuss, publish, share, and track your content in real time. Moreover, it is possible to subscribe to alerts when new changes are applied. Reports and Dashboards. As you might have already guessed, Salesforce offers a reliable system of dashboards and reports. Thus, you can get the most in-depth insights into what’s going on within your company. With dashboards, you get a real-time picture of your business at a glance. Detailed reports provide more precise and extensive information. Sales Forecasting. Another vital feature introduced in Salesforce is forecasting. Being fast and accurate, it offers a real-time view into your team’s forecasts. Prevent multiple issues by predicting them and eliminating conditions that case them. The system lets you use in-line editing, override visibility, support for multiple currencies, and tons of other instruments to create the most precise predictions. Now, when you are familiar with the platform’s key features, we should say a few words about the main Salesforce products to provide you with a better understanding of the system. Sales Cloud is a tool that helps merchants discover new customers, close deals, and grow accounts. AI-powered sales tools will let you keep deals moving forward. You will be able to sell smarter with artificial intelligence that powers every step of a sales process. The platform automatically captures data providing you with the most in-depth instant insights and predictive forecasting. Furthermore, you can dramatically simplify your daily duties with the help of fully-customizable apps. Thus, Salesforce can be effortlessly configured according to the most demanding requirements increasing productivity and driving innovation. You can shorten sales cycles, streamline tasks, move from close to cash quickly, drive revenue growth, manage various backend tasks, and create a personalized sales journey for every client with Sales Cloud. As for Service Cloud, it is designed to provide extensive support for every customer anytime and anywhere. Salesforce will help you increase both speed and reliability of case resolution with a complete customer view. At the same time, you will empower your clients with engaging portals and communities. And, of course, all support is personalized across all digital channels: social media, chats, mail, etc. Note that all these and other features leverage AI-powered chatbots and solutions so that you dramatically improve first-visit resolution, onsite management, and other processes delivering an amazing customer experience with the world’s first customer relationship management system. Journey Builder. This application is designed to create 1-to-1 customer journeys across multiple channels, including email, mobile, ads, and the web at every customer touchpoint. Pardot. B2B marketing automation can be achieved by combining marketing and sales on a single platform with high-quality leads and advanced analytics. Email Studio. With Email Studio, you can utilize a data flow from any source to create personalized email campaigns. Managing this marketing activity has never been so easy. Salesforce DMP. As for the data management platform, it is designed to capture and data from anywhere and streamline it on a unified platform. Consequently, you can create content and advertising with higher efficiency. Social Studio. This tool offers advanced capabilities for social marketing. Leverage it to listen, publish, and engage with your customers across all social channels and align these activities with your marketing, customer service, and sales efforts. Advertising Studio. Digital advertising becomes more precise with this Salesforce app. You can activate customer data to run various campaigns for acquisition, re-engagement, and alignment as well as power your digital advertising efforts. Mobile Studio. Leverage SMS marketing, push notifications, group messaging, and other elements of communication with your customers on small screens to build and automate personalized mobile interactions with Salesforce. Besides, Salesforce lets you unify the buying experience of your customers. Suitable for both B2B and B2C segments, it provides the ability to connect with your clients across every touchpoint. Get a 360-degree view of all activity, orders, inventory, and other vital processes of a digital enterprise. Convert mobile shoppers with such features as responsive design, optimized micro-moments, and one-touch payments. Streamline personalization with AI-powered experiences – you will avoid hiring data scientists! The Salesforce offering is so fully-featured and modern that you will effortlessly exceed customer expectations delivering continuous innovations. The platform lets you go global with the minimum time and effort since you can launch new sites and explore new regions faster even if you have to deal with multiple brands, languages, and currencies. But don’t be afraid of diverse insights and absolutely different target groups: Salesforce allows connecting commerce across all functions. The platform lets you dive deep into customer insights across sales, service, and marketing. And pay attention to the fact that your commerce data is fully integratable with other clouds on the Salesforce Platform. Even if you run your own e-commerce store on Magento 2, it is possible to achieve the same results (we will describe this process below). And if you need to connect all members of your team in one place, Salesforce offers quite a robust tool. With Quip, you can create, discuss, and do work from any device. The system lets you and your employees connect content and communication so that everyone can reinvent work with chat, checklists, and project management anywhere in documents, spreadsheets, and slides. Another important benefit of Quip is that you can access it from anywhere. The tool provides a seamless desktop-to-mobile experience, so your team members will never miss anything important. Besides, you can reduce the number of emails or meetings necessary for establishing your daily routine. Replace them with Quip documents which are always available in real time for viewing and editing within the team. And you can integrate Quip with calendars, videos, images, and other things to build a universal collaboration solution. Synchronize data flows between systems. Consequently, you get an integrated system that automates multiple processes and provides you with lots of valuable insights into the life of your business from the perspective of customer interactions. Unlimited CRM power and support cost $300 per user per month with the Lightning Unlimited plan. To discover the exact features provided with each plan, follow this link: Salesforce Pricing Plans. As you might have already guessed, the best way to connect Magento 2 to Salesforce is based on APIs. You can learn more about Salesforce API here: Salesforce API Explorer. From the perspective of the Magento 2 Salesforce integration, the REST API lets you obtain detailed information about any Salesforce object, perform a query, or update/delete records. When it comes to the SOAP API, we need to mention the Web Services Description Language (WSDL) file and its role as your map to understanding how to use the API. the file contains the bindings, protocols, and objects necessary for making API calls. The partner WSDL is optimized for multiple Salesforce orgs. Being loosely typed, it doesn’t change according to an org’s specific configuration. Being based on the REST principle, Bulk API is optimized for working with larger sets of data. In contrast to REST and SOAP, Bulk API’s asynchronous framework is designed to process data from a few thousand to millions of records. Leverage it to insert, update, upsert, or delete multiple records asynchronously. Streaming API lets you define events and push notifications from Salesforce to your client app when the events occur according to specified conditions. As a result, there is no need to keep an active lookout for data changes and the necessity to poll Salesforce making constant API requests is eliminated. As for the Magento 2 Salesforce integration described below, it is based on REST but can involve other APIs if necessary. Since REST API provides a powerful Web services API for interacting with Lightning Platform and as a result your Salesforce account, we’ve decided to choose this standard for our plugin and the corresponding add-on. If there are many records in your project, Bulk API can be utilized as well. Let’s see what opportunities are offered by Salesforce Integration Add-On for the Improved Import & Export extension regarding the Magento 2 Salesforce Integration. As a Magento 2 administrator, you can synchronize leads, customers, categories, orders, and other entities mentioned above in real time. 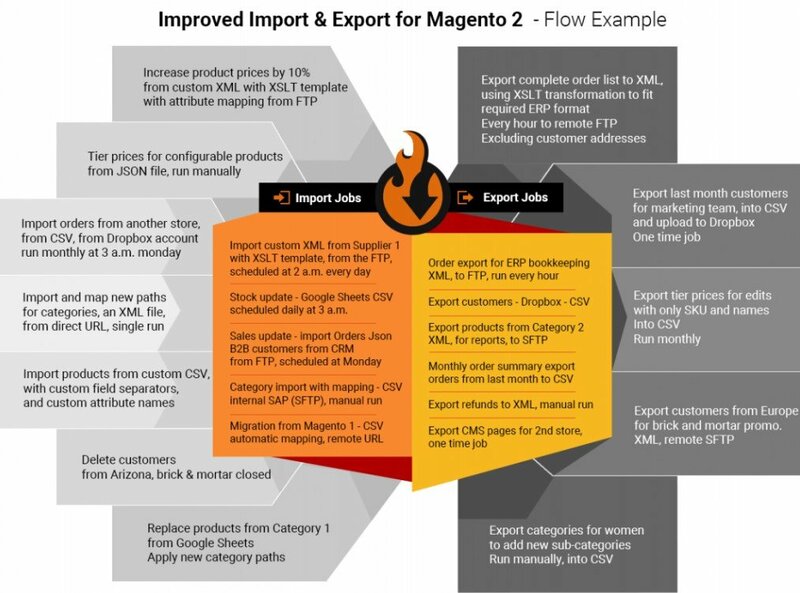 At the same time, the Improved Import & Export Magento 2 Extension provides the ability to do everything in a fully automated mode due to crone job schedules. Besides, the module lets you easily map data fields from Magento 2 to Salesforce: 100+ data fields are supported! Thus, you can sync your giant CRM database between Magento 2 and Salesforce without headaches. Let’s take a look at several ways of synchronizing data between Magento 2 and Salesforce. You can streamline the Improved Import & Export Magento 2 extension and Salesforce Integration Add-On to sync credit notes between Magento 2 and your Salesforce CRM account. Due to the advanced mapping functionality and trigger-based schedules, the add-on lets you sync credit notes to Salesforce every time they are created in your Magento 2 admin. At the same time, it is possible to update Salesforce with new data every time a new change is applied. Transferring product data between Magento 2 and Salesforce CRM is not a problem as well. The Improved Import & Export Magento 2 extension lets you synchronize product information between the two systems. Salesforce Integration Add-on allows transferring product names, SKUs, prices, quantities, and anything else. Due to the availability of trigger-based updates, product data can be uploaded to Salesforce when a new product is created. Syncing customer data between Magento 2 and Salesforce is also possible with the Improved Import & Export extension. Every time a new customer is registered on your website, the corresponding information is sent to Salesforce. Furthermore, if a customer changes already existing account data, an update is provided to your CRM system automatically. Thus, you can synchronize different customer info including Lead, Contact, and Account from Magento 2 to different modules in Salesforce automatically. Another entity that can be easily transferred from Magento 2 to Salesforce is orders. The Improved Import & Export Magento 2 extension and Salesforce Integration Add-On provide the ability to send new orders from your e-commerce store to Salesforce when customers make new purchases. Furthermore, is product information is changed; this data is also provided to the CRM system. The fifth most popular entity to sync between Magento 2 and Salesforce is ‘campaigns.’ Our module lets you transfer the corresponding data in both directions. Thus, you can easily sync promotion info and catalog price rules between Magento 2 and Salesforce. The add-on allows sending such data as rule name, discount value starting/ending date, etc. Now, when you are familiar with the Magento 2 Salesforce integration, we’d like to draw your attention to the Improved Import & Export features that simplify the data synchronization between the two platforms. With our module, you can completely revamp the default import and export functionality of your store avoiding many issues of the built-in tools that occur when you try to transfer data to the CRM platform. The most important thing is that you can automate everything. The default Magento 2 import tools are limited in multiple aspects including automation. Besides, they cannot import all entities or match attributes. Consequently, you have to repeat numerous processes every time an update is required, and in case of the Magento 2 Salesforce integration, updates are extremely frequent. Luckily, our extension lets you transfer all information from Magento 2 to Salesforce and back automatically: different external attributes and their values can be matched to ones used internally, multiple API connections – leveraged in the integration, and all entities – imported/exported! As a result, you effortlessly synchronize Salesforce and Magento 2. The Salesforce Magento 2 integration is a continuous process that requires advanced automation. And the Improved Import & Export extension offers the exact functionality that you need. Our module provides the ability to avoid daily duties related to data transfers by allowing you to automate data transfers in two different ways: via schedules and event-based triggers. and asynchronous data transfers (launch every scheduled profile manually whenever you want). Thus, transferring data to Salesforce with the help of a trigger simplifies the integration. For instance, a customer makes a purchase on your website. When a new order is created, the extension automatically transfers it to Salesforce with the help of a trigger. In the case of Salesforce Integration Add-On for Improved Import & Export, you don’t have to create this scheme manually! Follow the link below for more information regarding triggers: How to Run Magento 2 Import or Export After Specific System Event or Process. Map Salesforce attributes to ones used in Magento 2 to enable the migration and automate data transfers. If you don’t do that, you won’t export any data to Salesforce or import it to Magento 2 since external attributes are not supported by both systems. Use our module to solve the problem of different attribute standards without headaches and enable the Magento 2 Salesforce integration in the most intuitive way with mapping presets – predefined mapping schemes that eliminate manual attributes matching. As for the “Default Value” column, it plays an important role in attributes matching when you transfer any data from external systems. The column is designed for values, which are bound to all items of a corresponding attribute. 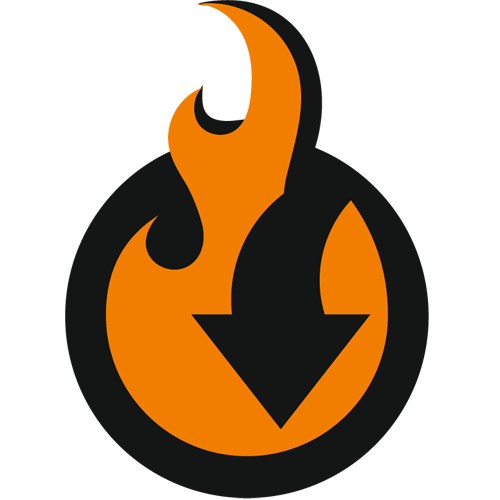 For instance, it is possible to transfer product data from a third-party source replacing its categories with ones used on your website. Type a hardcoded value containing a new store view in the “_store” attribute, and the Improved Import & Export extension will replace the third-party catalog elements with the chosen one. The Improved Import & Export Magento 2 extension offers a separate interface for attribute values mapping that provides the ability to simplify the Magento 2 Salesforce synchronization and automate it entirely. With our plugin, external designations will no longer interrupt transfers since you can choose an external value from Salesforce and specify the internal one from Magento 2 as a replacement. Repeat the procedure until all third-party designations from your old store are mapped to ones utilized in Magento 2. Note that the created schemes are saved and applied for further updates. For details, read this article: Attribute Values Mapping. To create new categories right in the import job, choose a parent category and specify a new one that will be generated automatically. Thus, the extension will link products to it during the import process. If your new Magento 2 store doesn’t include a category from an imported file, it’s no longer a problem. You can find more information about this feature here: Category Mapping. As for the extended connectivity options of our module, they are designed to improve all data transfers as well as make the Magento 2 Salesforce integration possible. With Improved Import & Export, you can use multiple file formats and two alternative ways of transferring data between your e-commerce store and external systems. As for Salesforce, the REST API is used. Also, note that our module transfers all Magento 2 entities, while the default tools support only a few of them. The Magento 2 Salesforce integration cannot be established on the basis of data files, but you should know that the Improved Import & Export extension supports CSV, XML, JSON, ODS, and Excel. You can use these standards for other integrations. As for the alternative ways of import and export, they are not represented in Magento 2 by default. 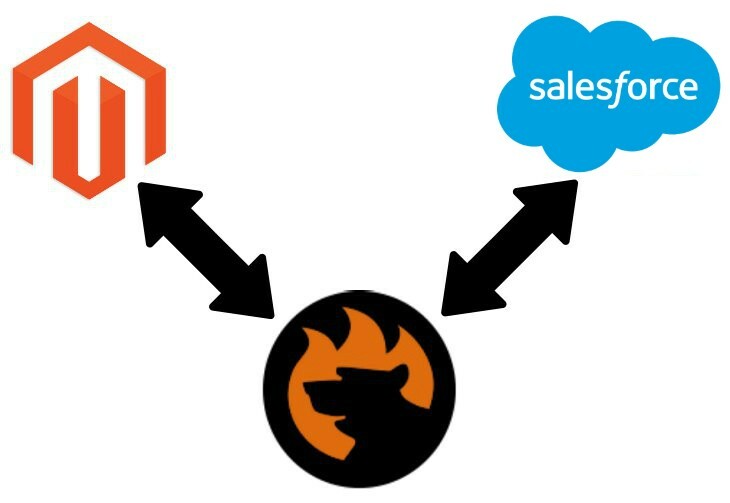 However, direct API connections enable the Magento 2 Salesforce integration. As we’ve just mentioned, the Improved Import & Export extension provides the ability to leverage REST as well as other APIs if necessary. For instance, our extension supports SOAP and GraphQL. Note that all API connections are fully compatible with the extension’s features letting you streamline mapping, schedules, and attributes on the fly while transferring data via API. As a result, you can transfer all the necessary information between Magento 2 and Salesforce in the most intuitive manner!